Jill of all Trades, Master of Some | Stitch, Brinn, Stitch! Today is the official last day of KCBW and I’ve apparently been a little lax in participating. I may get a couple more topics in this week. Anyway, today’s topic is crafting balance, specifically between knitting and crochet. I’m gonna expand that a little. As you probably know, I do about a million different crafts. I like to make things. I knit, crochet, spin, sew, embroider, cross stitch, dye, paper craft, and do the occasional bit of painting. I am very much a Jill of all trades. 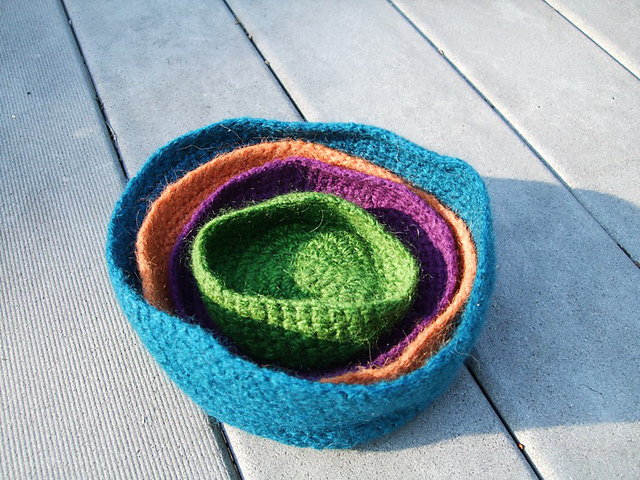 And I’d love to learn more crafts–weaving, quilting, glass blowing, pottery… I really like making things. I love to cross stitch but at a certain point, there’s only so much room on the walls, y’know? And I love stitching words on aida cloth. So I try not to cross stitch as much as I’d like to. I like sewing but I’m impatient and rubbish at it. I can pretty much only use rectangles. I LOVE painting, but I can mostly only draw if I’m copying another picture. I’m pretty boss at that too. Spinning is fun but I haven’t done it in a while. Too many things to knit. I have too many paper crafting supplies for the amount I do. If I still got hard copies of photos I would totally scrapbook. But I don’t take that many pictures anyway. I like making cards mostly. I do a lot of things. I like yarn. And I like fabric and floss and roving and stickers and stamps and scrapbook paper. Basically, I love to make things. I love to make things too but I’ve given up the things that I’m not very good at (paper crafts and sewing, specifically)……I have to go through my painting supplies and be a little harsh on those, too. I inherited my grandmother’s rosemalling brushes……somewhere around 200 brushes. And her wood. And her patterns. And her acrylic paint. And her half-finished pieces (that I cannot finish because I don’t do that kind of painting). I’m going to have to purge one of these days…..